Professor Noonan here sets out to examine what Islamic silver coins (dirhams) reveal about the great trade between the Islamic world, European Russia, and the Baltic during the early Viking Age. Particular attention is devoted to the origins of this international commerce and the role of such peoples as the Vikings and Khazars. As he shows, the study of these coins also throws new light on mint output in the ’Abbasid caliphate, the historical significance of specific dirham hoards, and how the patterns of trade evolved during the course of the ninth century. 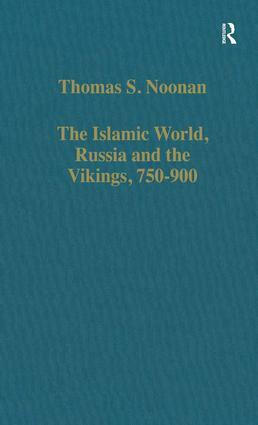 Contents: Introduction; Why the Vikings first came to Russia; Why dirhams first reached Russia: the role of Arab-Khazar relations in the development of the earliest Islamic trade with Eastern Europe; 9th-century dirham hoards from European Russia: a preliminary analysis; The regional composition of 9th-century dirham hoards from European Russia; A 9th-century dirham hoard from Devitsa in southern Russia; Early ’Abba-sid mint output; Index.